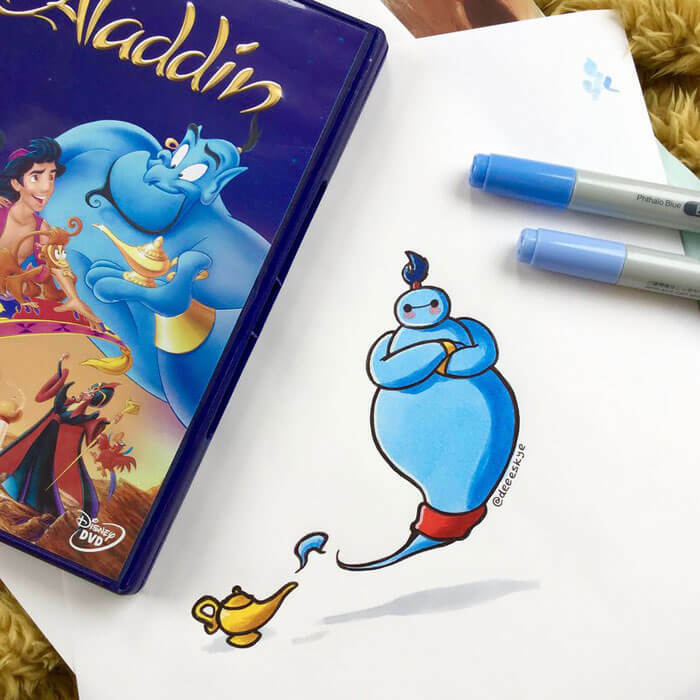 Disney movies just keep coming and coming, every year we are introduced to new Disney characters and new story lines that keep making adults and kids alike fill up with emotions. 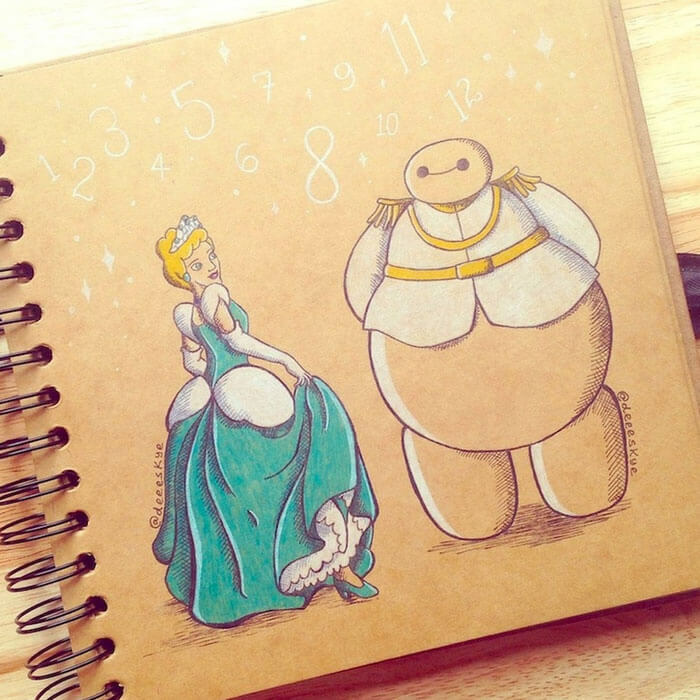 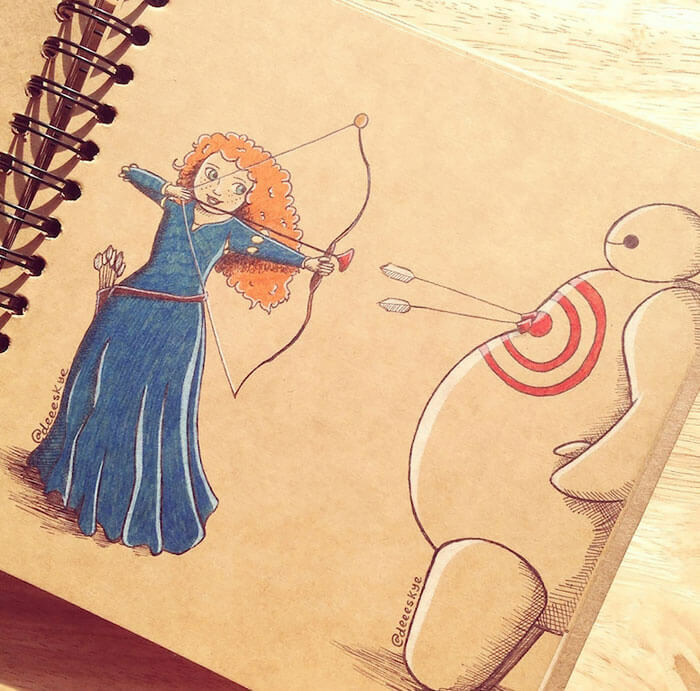 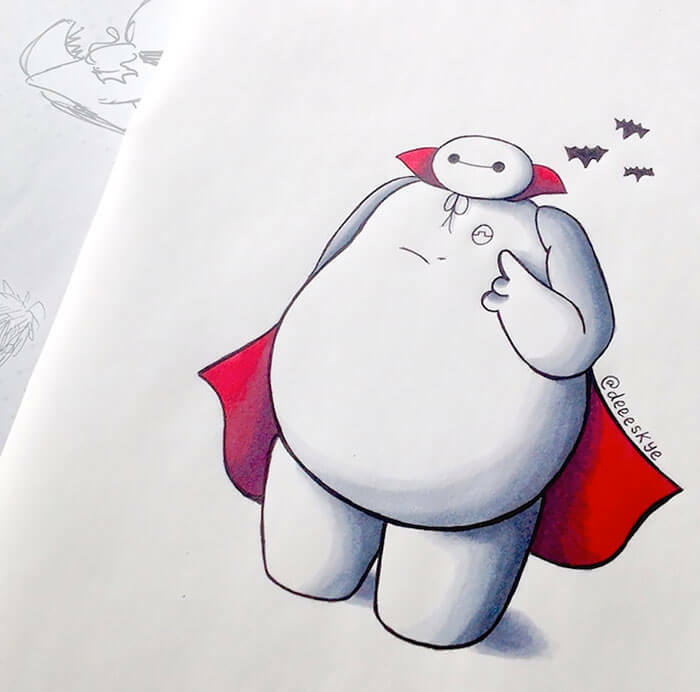 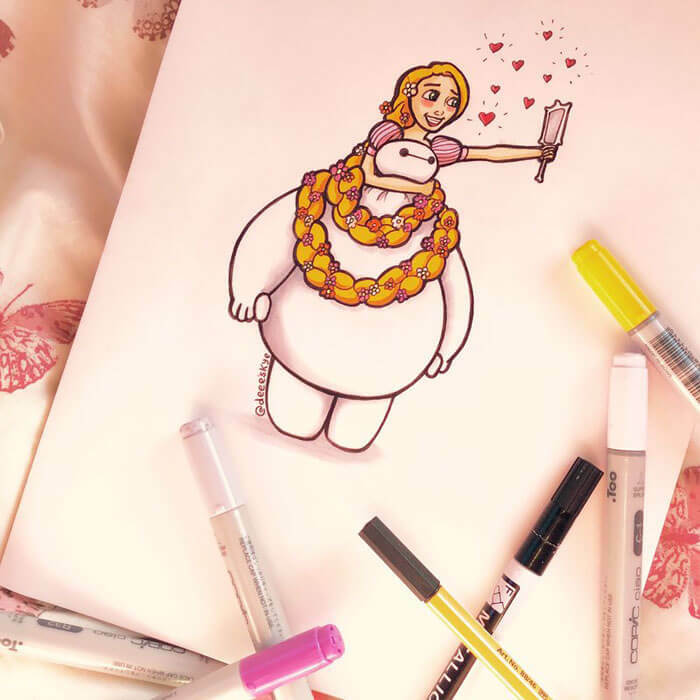 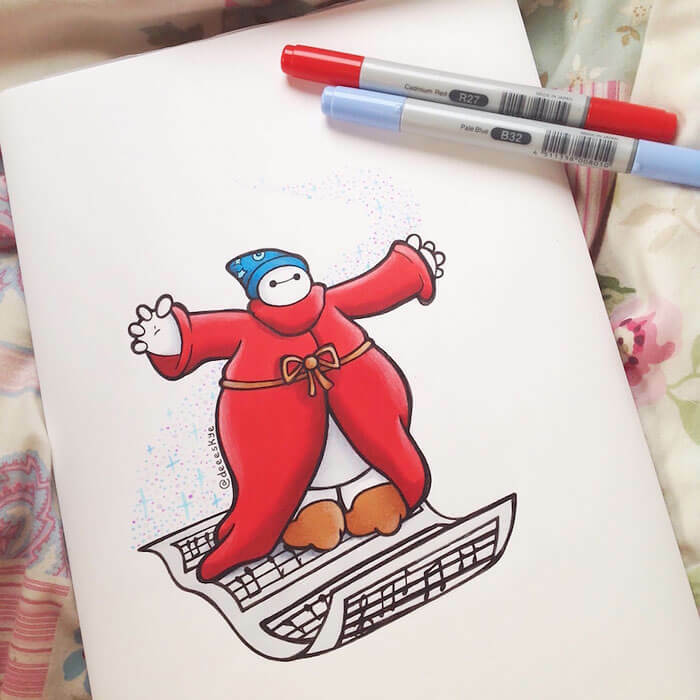 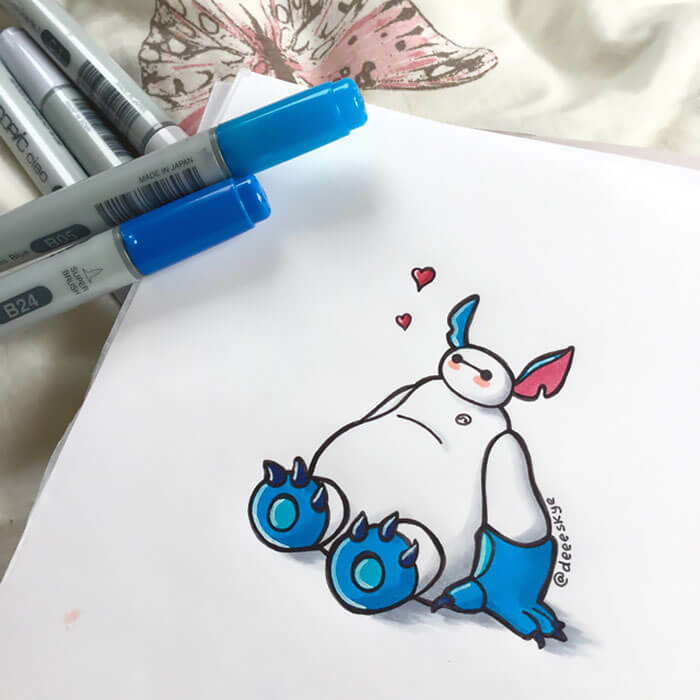 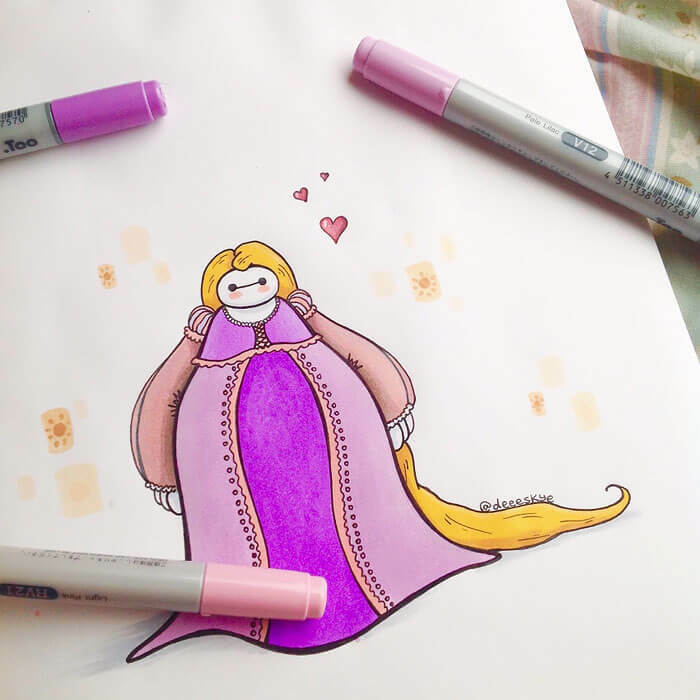 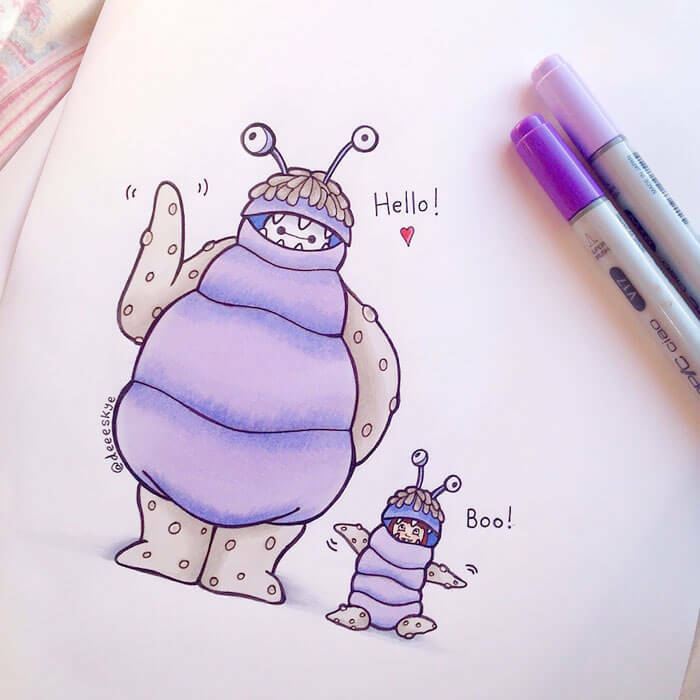 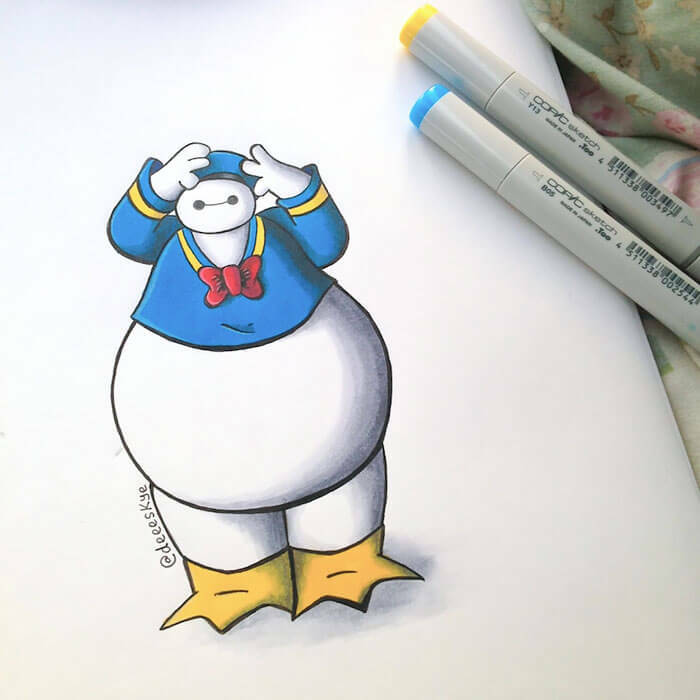 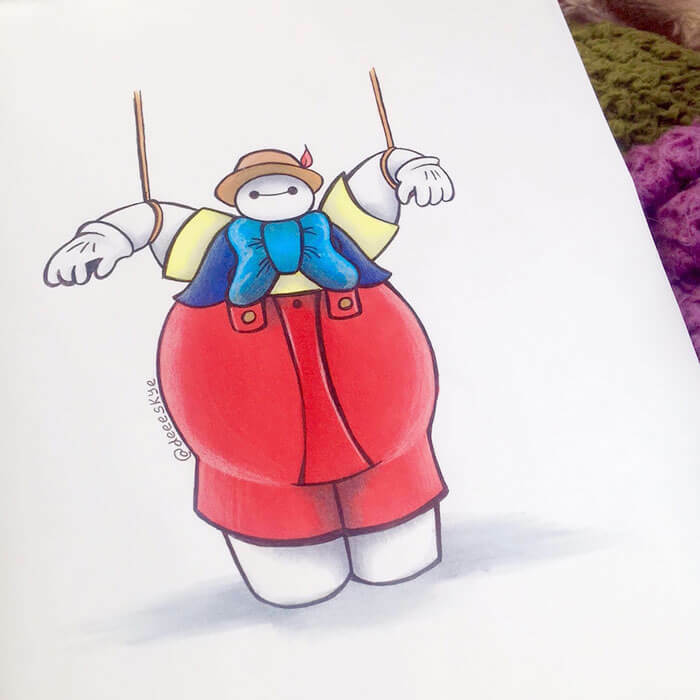 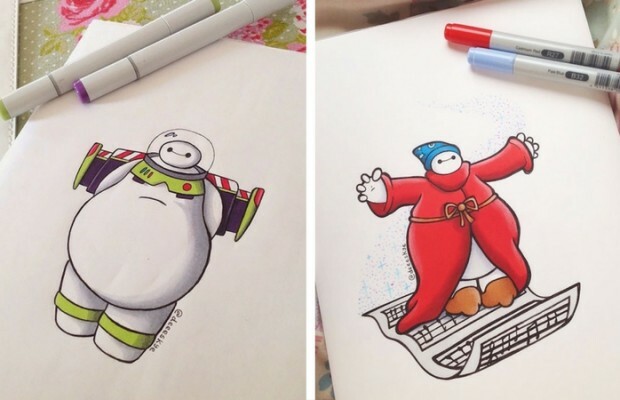 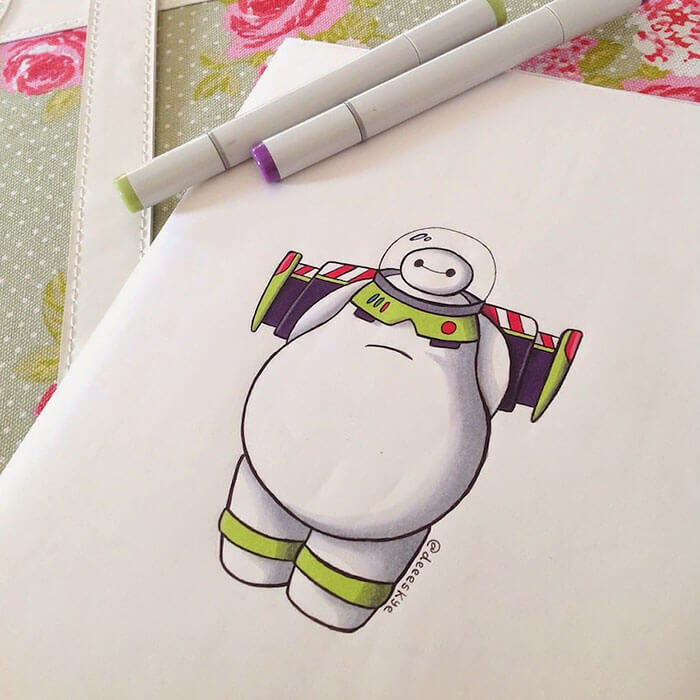 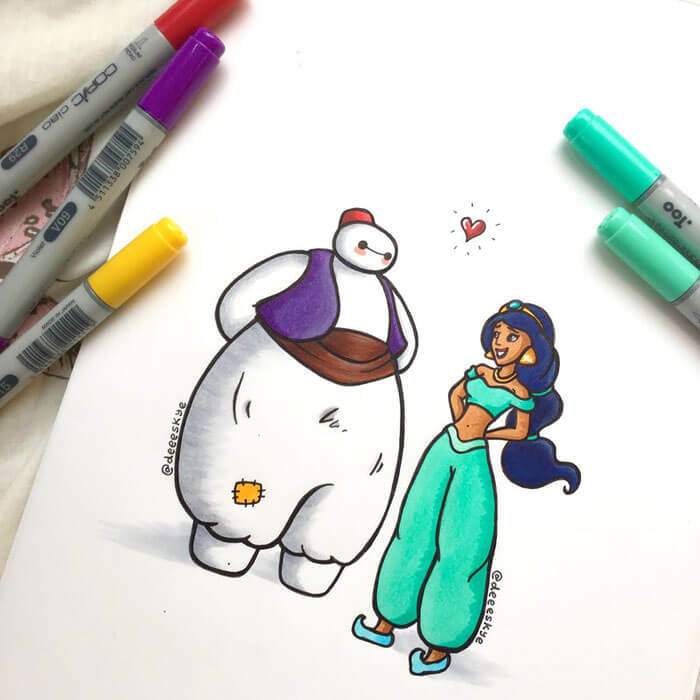 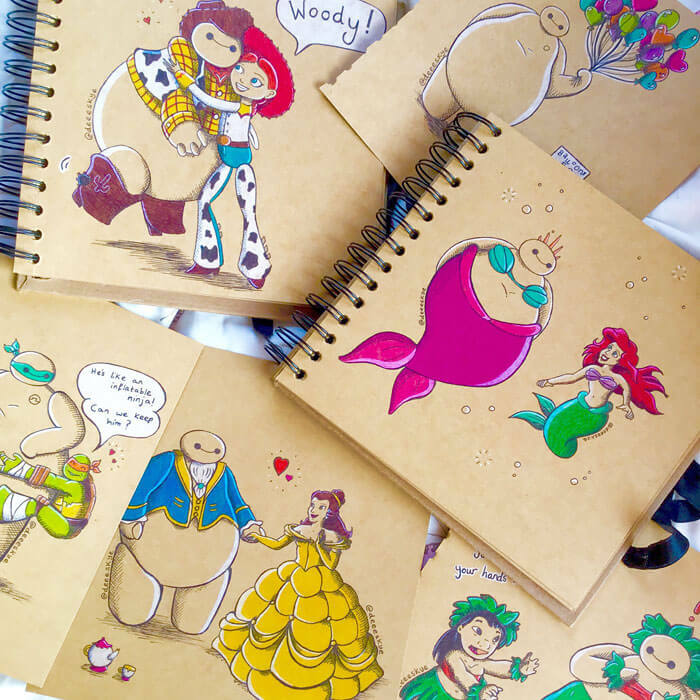 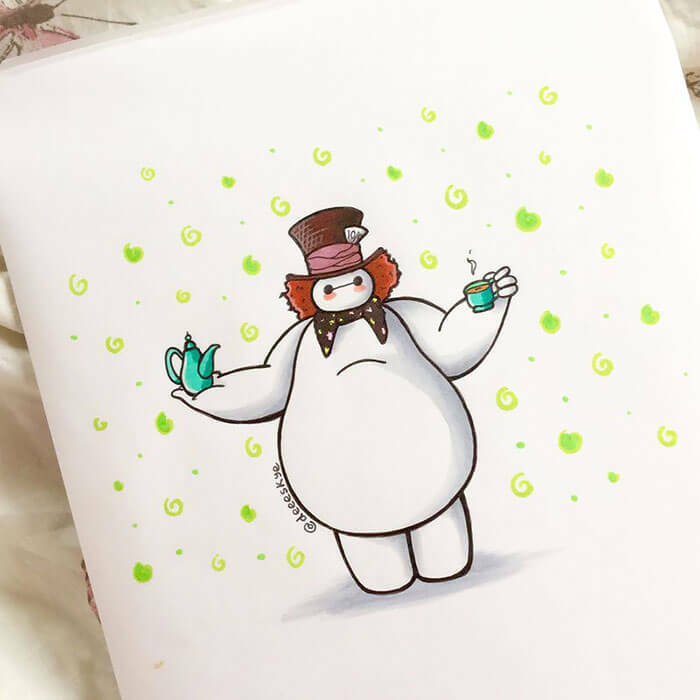 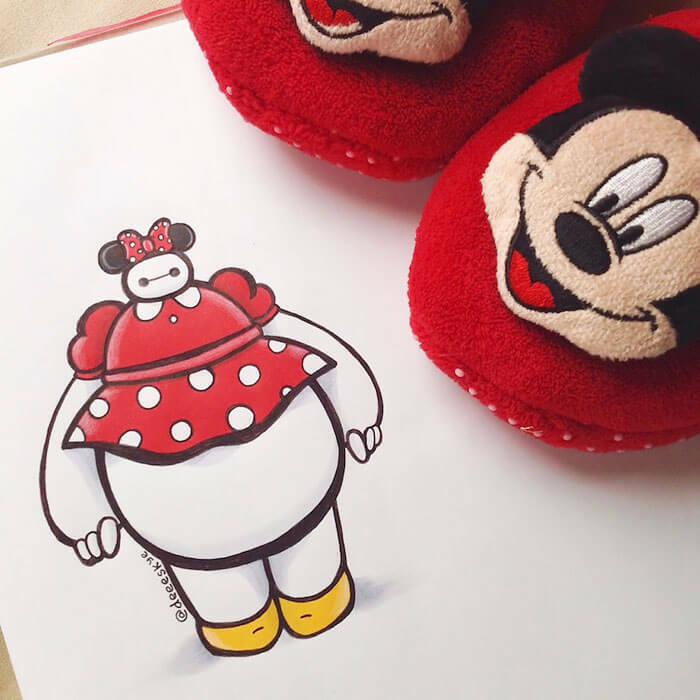 So it’s no surprise that self taught artist Demetria Skye created this gallery of cute drawings of Disney characters, and not just any characters, she focused on the popular characters Baymax from the movie Hero 6. 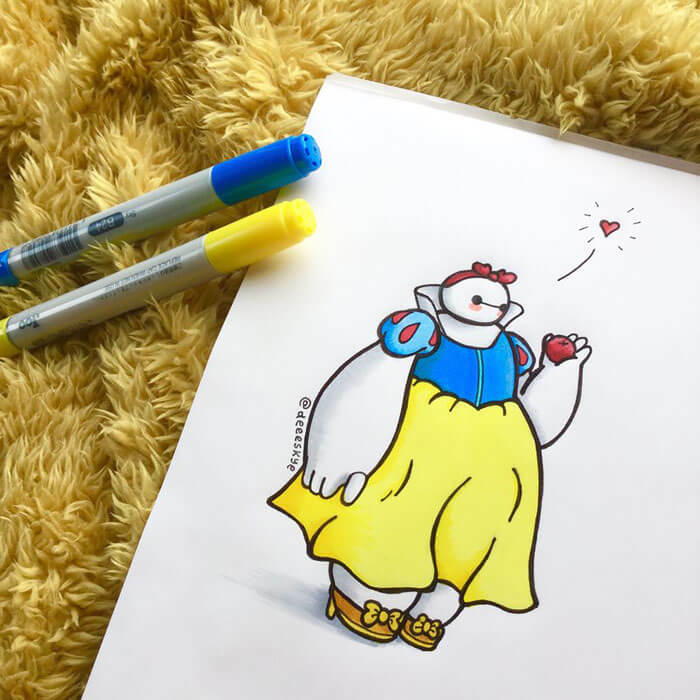 You can scroll through the gallery below and see Baymax as famous princesses and even some more unique characters like Donald Duck and more. 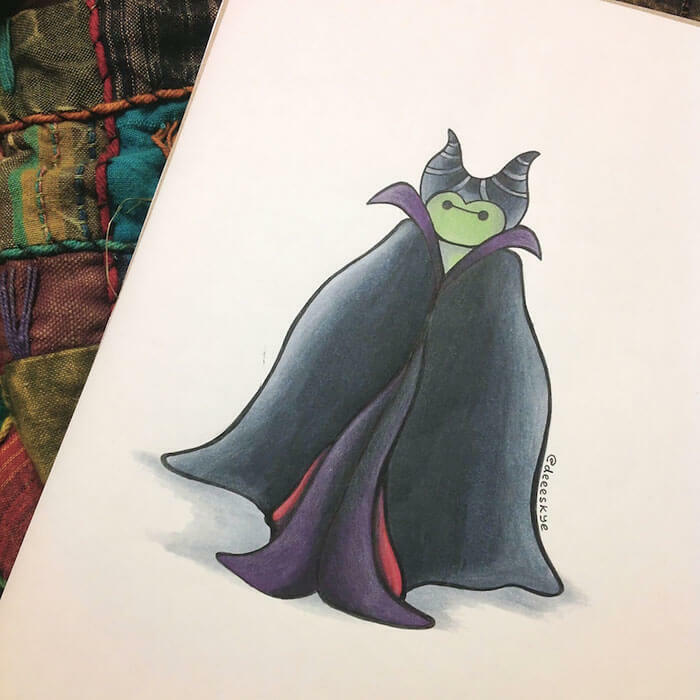 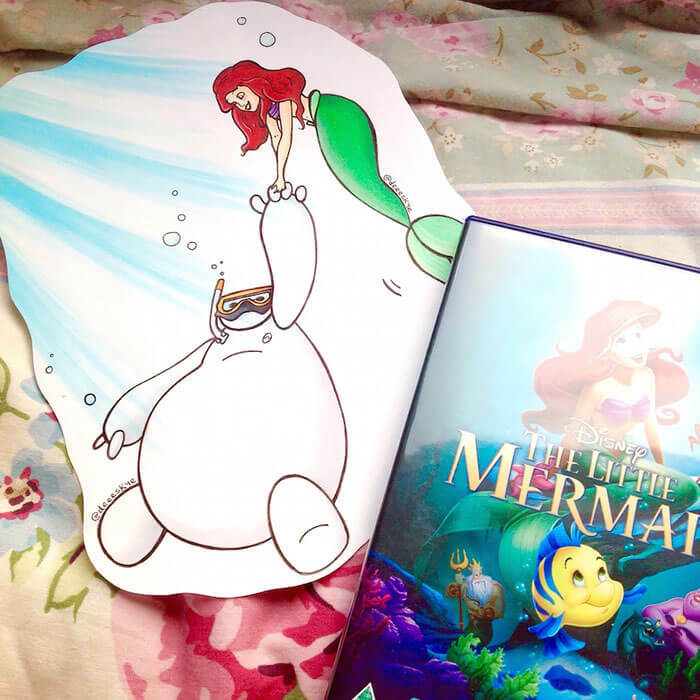 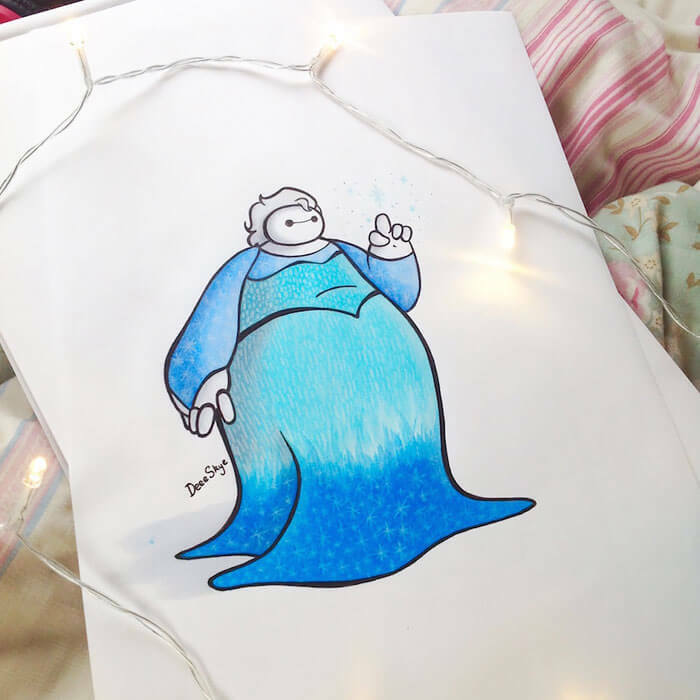 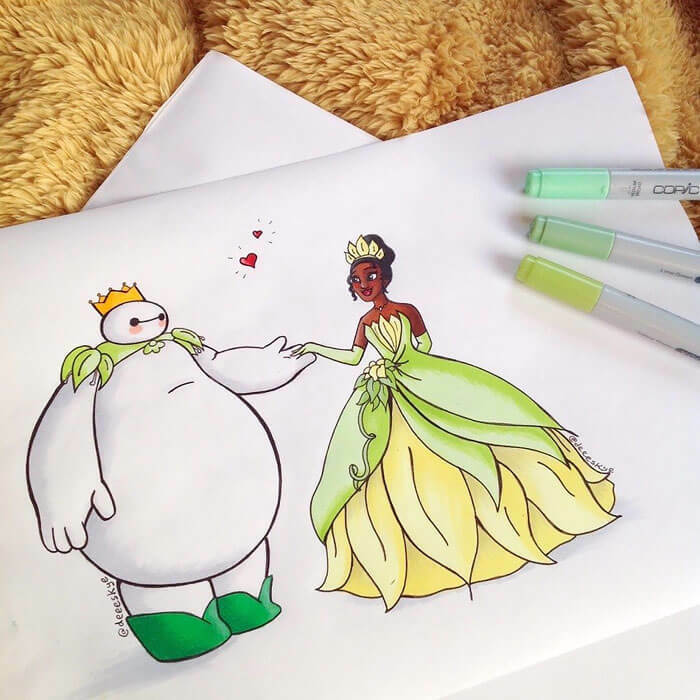 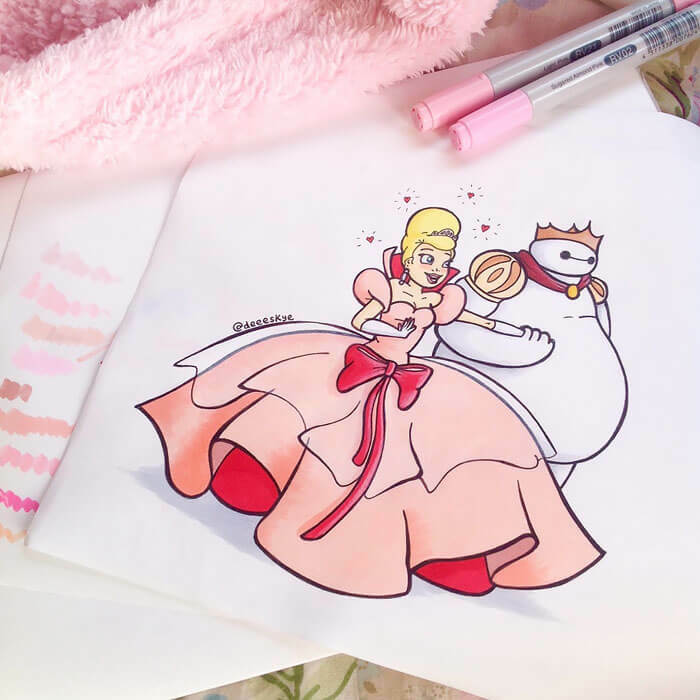 Demetria AKA DeeeSkye always loved drawing and her popular Instagram and Tumblr profiles is proof of that notion, as a self taught artist she uses different techniques and tools to create these creative drawings of Disney characters.